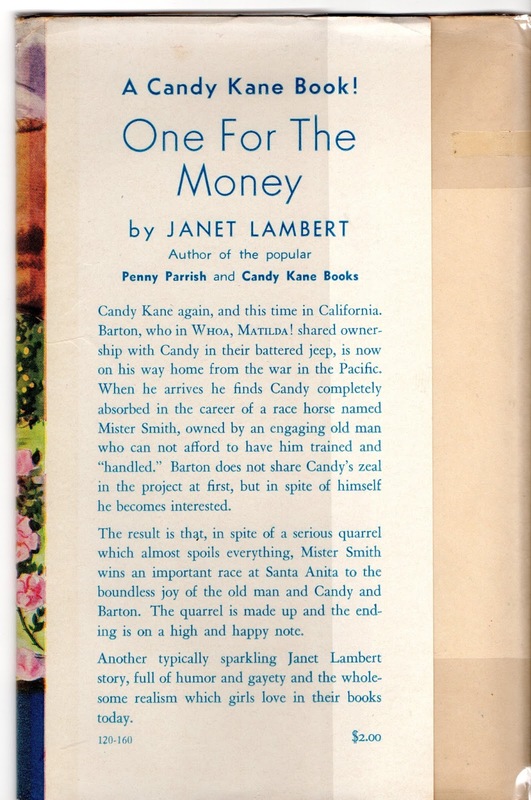 Candy Kane again, and this time in California. Barton, who in WHOA, MATILDA! shared ownership with Candy in their battered jeep, is now on his way home from the war in the Pacific. When he arrives he finds Candy completely absorbed in the career of a race horse named Mister Smith, owned by an engaging old man who can not afford to have him trained and "handled." Barton does not share Candy's zeal in the project at first, but in spite of himself he becomes interested. The result is that, in spite of a serious quarrel which almost spoils everything, Mister Smith wins an important race at Santa Anita to the boundless joy of the old man and Candy and Barton. The quarrel is made up and the ending is on a high and happy note. "Her wide-spaced eyes had soft hazel flecks in them and they changed with Candy's mood, from the deep unfathomable green of the ocean when she was thoughtful to a gay liquid gold that danced now with the horse's antics. She shook back the blond hair a breeze had sprayed across her face, her companion tossed his black crest of a man in answer, and she laughed." I always wanted my eyes to change color with my moods, as so many heroines in books do, but alas no. Always brown. Candy is living in California with her mother Marcia and her old nurse Nanna. The war is over, and they are waiting for Candy's father and loyal Barton Reed to come home. She takes a shine to Jeb and his whole family, including Sonny who is still overseas. She adores Mister Smith and is excited about training him to be a race horse when Barton comes home. "Barton. Barton in his plane, winging through the skies; Barton grinning, walking toward her as he had that last night on the beach in Connecticut when moonlight drenched his fine new uniform and gold lieutenant's bars; and wind whipped his necktie and his black lock." Barton joins the endeavor to make Mister Smith a winning race horse, which includes finding him a real trainer. Interestingly, there's the slightest mention of the Japanese internment camps as they tour the stables and race track. "'It doesn't look much as if the Japs had ever been interned here, does it?' Candy said, leaning out to read the black numbers on the corner of each building." And that is all. One casual mention, then back to the horse training. As for Candy's sister Leigh, as usual, there is trouble in paradise. Leigh's husband Chris is working on a book and not paying any attention to Leigh. Candy and Barton are heading out to a dance, and try to get Leigh to go with them, alas, when they go to pick up Chris, he's gone with no notice. Candy and Barton go off to the dance where they meet up with Captain Nelson, an officer from Candy's past, to whom they tell the story of Mister Smith. Captain Nelson persuades Candy to sing at the dance and raises money for Mister Smith's training. Meanwhile, Leigh leaves Chris to come home to her mother. Barton and Candy are busy with Mister Smith's training, but despite the money from the dance, they are running short of funds again. Candy goes off to find Clark Milland, whose band she sang in years ago, but ends up at an audition for a new revue. They put her in a skimpy costume, and she sings for them, but refuses the job. 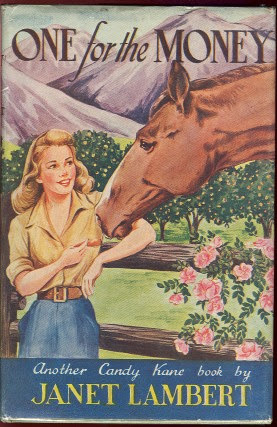 She finally runs into Clark Milland, who invests in the horse. 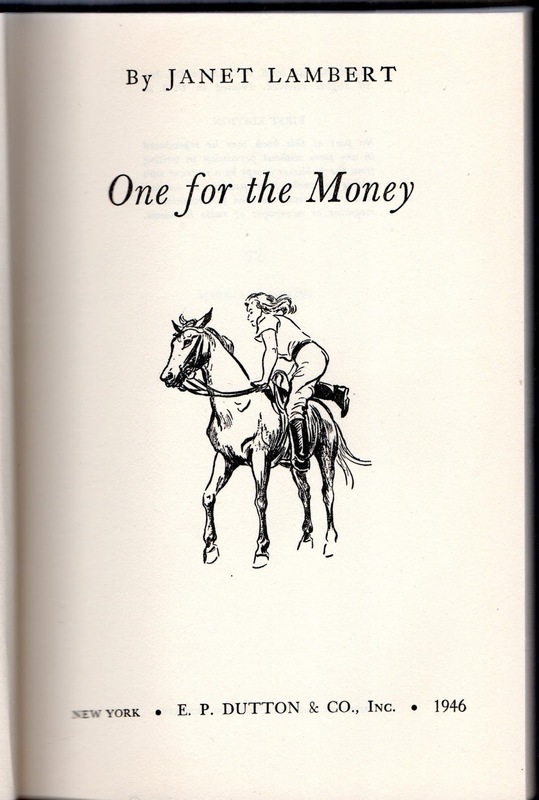 Candy arranges with his that if the horse doesn't win, she sing for him to pay back the money. Candy and Barton quarrel and he takes off. Jeb is doing poorly, so Candy works with a Red Cross-connected friend of the family to get Sonny back home. Chris gets a job and he and Leigh get back together. Barton comes back and he's in civilian clothes--he's left the army. "Candy put a dash of mustard in her sandwich while Barton paid the check and when they went out of the door together, she thought, isn't this just the way we'd do it? Nothing dramatic about getting together again; A cheap restaurant, great control with everything casual--and we walk out, eating steak sandwiches! And Barton thought, Gee, it's simple when two people understand each other. No fuss. I couldn't stand a girl who fussed." Sonny makes it home, and rides Mister Smith in the big race and wins. Everything ends happily, including for Barton and Candy. Barton explains that he didn't want to stand in the way of her potential career, and gave up the army so he wouldn't be sent away from her. He's going to college, and she will too, but just for a year until they can marry. 'And you'll be a very fine fellow just the same and I can sing for you sometimes.'" And she sings a bit of Stardust, the song that she sang in Candy Kane. The end! Aw! The horse stuff is pretty boring to me, but I do love the singing and Barton is a terrific romantic hero.